Mexico wants to strengthen its commercial ties with other countries and has recently received the visit of a delegation of Chinese businessmen willing to invest in some of the key industries of the country, such as the automotive sector or the telecommunications sector. Mexico has an extensive network of treaties and trade agreements with up to 43 different countries. In recent times it has been reviewing and updating some of those treaties, such as those signed with Canada and Brazil. The country is also part of the Alliance along with Colombia, Chile and Peru. Chinese entrepreneurs are particularly interested in being able to negotiate with the countries of the Alliance and increase their investment in Mexico could be the first step to strengthen its presence in Latin America. A few days ago a special delegation of 44 members representing major companies in Hong Kong visited Mexico with the intention of strengthening trade between both countries. 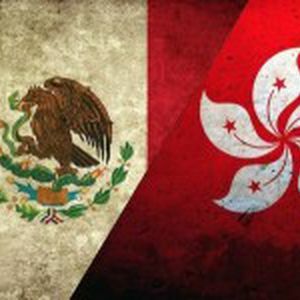 Valentin Diez Morodo, President of the Mexican Business Council for Foreign Trade, Investment and Technology (COMCE) and Alicia Buenrostro, General Consul of Mexico in Hong Kong, noted that entrepreneurs have shown a special interest in the Pacific Alliance. "For them, the four countries of the Alliance: Colombia, Chile, Peru and Mexico, have special attractions. It is a delegation composed of 44 members, who lead powerful companies in different sectors," said Mr. Diez Morodo. Chinese companies are interested in strategic sectors like the mining industry, cement or telecommunications, but have a special interest in the tourism sector.